Hydro Pneumatic pumps and Hydro Pneumatic motors run the machines that drive your business -- until they break or wear out. RS Water Solutions understands the critical nature of your Hydro Pneumatic systems and we've built a solid reputation on our quick, high quality Hydro Pneumatic pump service and repair. We need enquiries only from Bengaluru. Our company has been successful in winning appreciation from the clients as one of the most prominent names in the trading of Hydro Pneumatic Pump Repairing. We are amongst the most reputed names in the industry, offering Hydro Pneumatic Pump Repairing. We are amongst the most reputed names in the industry, offering Hydro Pneumatic Pump Repairing Service. 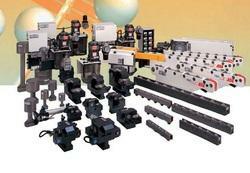 Banking on our enriched industry experience, we are able to supply Hydro Pneumatic Pump Repairing. In order to meet excellent quality standards, we are supplying Hydro Pneumatic Pump Repairing. We are engaged in offering Hydro Pneumatic Pump Repairing. 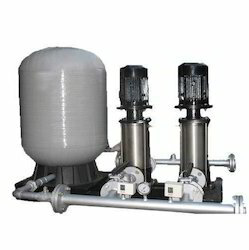 We are a top notch supplier of Hydro Pneumatic Pump Repairing. Hydro Pneumatic motors use pressurized Hydro Pneumatic fluid to transfer power between pistons, turning the motor for more force and requiring less start up power. The pressurized fluid replaces gears and levers. This approach is known as mechanical replacement, and it helps to increase the start-up power of the motor.